An exception to the rule here.... As you may be aware "Cars For Sale" appear only on our Forum as a rule. 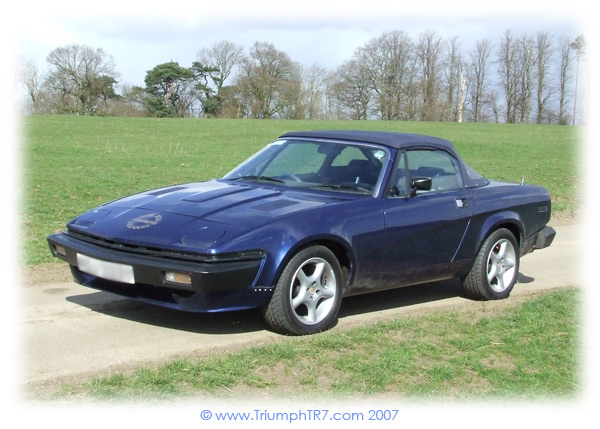 However this delightful Triumph TR7 DHC, from the Solihull era of TR7 production, is one of ours, and thus - as I make the rules around here - I'll advertise 'him' on the website. The car in question is 'TRickett TR' a 1981 RHD Automatic convertible. The car came off the line about 1000 from the end of the production run, as a manual - being converted to automatic transmission in the late 1990's. 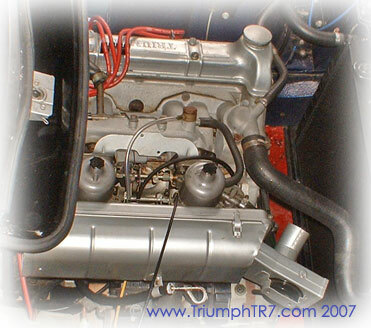 The conversion was professionally done, using the borg-warner auto box as used in the factory automatics. Following an extensive restoration, to an extremely high standard, the car was taken across to the South of France where it resided for 5 years and was exposed to a dry-use-only lifestyle. Importing the car, and registering the car on French license plates, was a lengthy process as 'type approval' was required from MG-Rover. All documentation from this process has been retained - giving you an opportunity to brush up on your French linguistic skills. 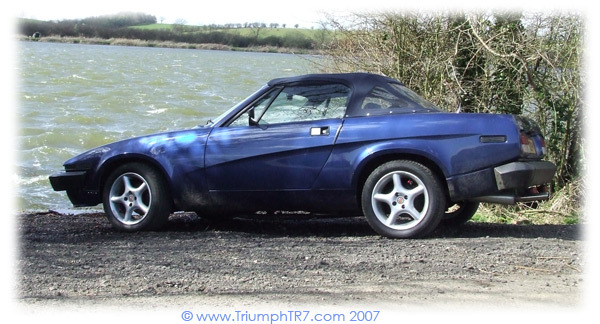 TRickett TR is not concours, but he's not far off and it wouldn't take a great deal (IMO) to take him there. There are a few niggles but nothing major - such as some scuffs to the rear sill caused by a tie holding the car on re-importing into the UK; also the haudralic boot stays have not been fitted - I think I have two of these, so they may be in place shortly. The paint is in very good condition and looks stunning, it's a very deep colour and was obviously wasted on the Rover MGF!! Possibly the most annoying thing is that the bootlid sticker is a Triumph Motorcycle one - if I was to retain the car I'd remove this and replace with the correct markings - the other badges are also not consistent with a Solihull car (the bonnet is a laurel leaf motif - Canley, and the '2.0 litre' markers for the front wings aren't present either. If you're interested please contact me via e-mail (sorry I won't publish my phone number on the net!). There's plenty more pictures in the Photo Album.